Three Card Poker is a very popular and well-known casino game. This is also offered by various live casino providers as a Live Three Card Poker variant. Three Card Poker is a variant of the well-known poker. It should not be confused with the Casino Hold’em variant of the game. With Three Card Poker you only play with three cards. 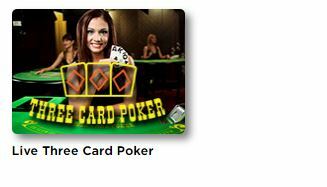 Live Three Card Poker is another pretty young variant of Poker and is still limited available in the live casino. Only a few casinos offer it at all. There are also a limited number of play tables available. Double your deposit at Royal Panda! 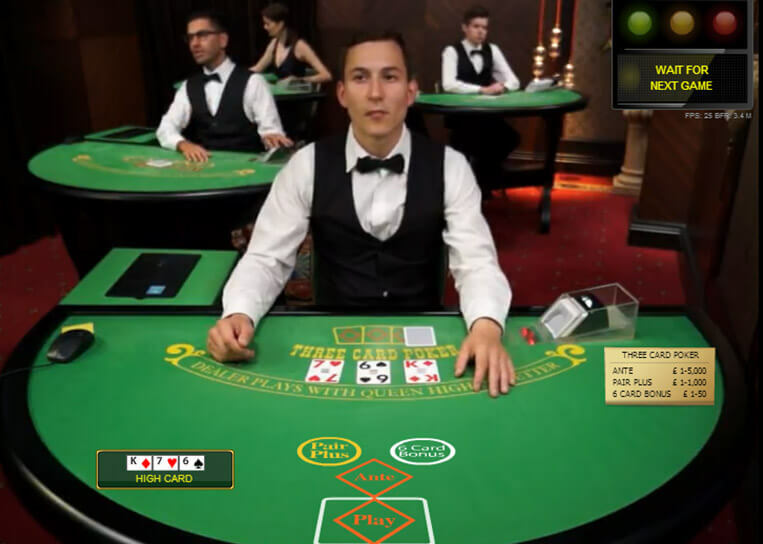 As a new live casino game, Live Three Card Poker has already acquired a very popular standing. If you choose to play Live Three Card Poker then a big difference with the online casino will be visible. In this game you will not play software, but actually take a live dealer to the table. This way, you will be able to visit every moment and experience the true casino feel. The atmosphere of the casino on land is imitated as well as possible. There is even the possibility of having a live chat with the live dealer through a live chat. Live Three Card Poker is accessible to both the small and the big player. Namely, the minimum bet is £1 and may amount to £5,000 per bet. This depends on the table and game variant. The Live Three Card Poker will generally be filmed live from one perspective. A live stream will appear on your screen. However, it is possible to observe both the actions of the live dealer and the game table. Through different cameras that make sure you get a live image, it’s possible to experience the atmosphere of the real casino at any time of the day, as you want and without entrance. In order to participate in a Live Three Card Poker game variant, it is important that you have basic knowledge. Three Card Poker card combinations differ somewhat from the normal Poker game variant. An example of this is a flush. Since you will only play with three cards, a flush is also based on three cards instead of five. This also applies to straight, royal flush and straight flush. Before the game starts, you must place the fixed bet (Ante) on the board as a player. Then the player will receive three cards open on the table, the dealer shares three close cards for himself. Based on your cards, you need to decide whether you play, and thus a Play bet, or you lose Fold and your Ante. After that, the dealer will open his or her cards. These will only play if it contains at least one Q as the highest card. If this is not the case, you will get your Play bet and your Ante will be paid out twice. Should the live dealer have a playful hand and lose, you will receive both your Play bet and Ante double. Play Three Card Poker with up to £150 extra! It would not be nice to never win while playing Live Three Card Poker. Therefore, it is useful to master some basic strategies first. A familiar way of playing is that you always bet your Play when a combination of Q-6-4 or better appears on the table for you. This also means that when you have a Q and a 7 or higher you also have to play. In addition, it is always good to play when you have a King or Ace as the highest card or at least one pair. This is a way to suppress the house benefit, but certainly requires the necessary patience. Also good to keep in mind is that the effort on the Ante has the smallest house benefit. Therefore, it is often tactical to put your entire effort into it. If you are used to playing regularly in the actual casino and shifting to a Texas Hold’em table, it’s important to realize that this Live Poker variant is something different. Although you have opponents at Texas Hold’em Poker, this is only the live dealer at Three Card Poker. The big difference is that co-players will always adopt a certain strategy and this will not apply to a live dealer. However, for Three Card Poker, the casino always has a certain benefit of 2.3%. The options for playing Live Three Card Poker are still quite limited at the moment, so you will often only have the choice of a limited range of live dealers. 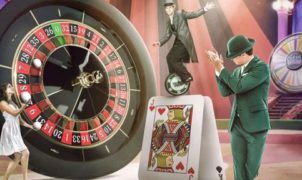 Nevertheless, it is definitely worth taking advantage of this inventive opportunity and by having a nice conversation with the live dealer you might even feel more at home than in the actual casino. 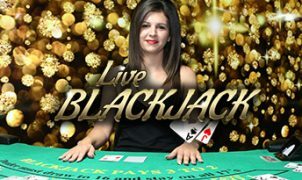 Very exceptional in this live game is the fact that you will receive a bonus automatically when you win a straight, 3 of a kind, or straight flush. This is completely independent of the live dealer’s cards. With such a bonus you can then make more effort and therefore get more out of the game. Several competing live casinos will try to get you across the line with the most attractive bonuses. The most common form of bonus is nevertheless the welcome bonus. In this way, for beginners, it becomes more attractive to register with such a casino. Please take into account the various conditions attached to such promotions. Due to the fact that Live Three Card Poker is still relatively new in the live casino offer, it will not be offered anywhere. The most well-known provider of Live Three Card Poker is probably Evolution Gaming. This gives you the opportunity to slide through a variety of online casinos at a live casino and enjoy Three Card Poker with real live dealers. Some online casinos using this live casino are CasinoEuro and 888 Casino. Double your play money at Royal Panda!